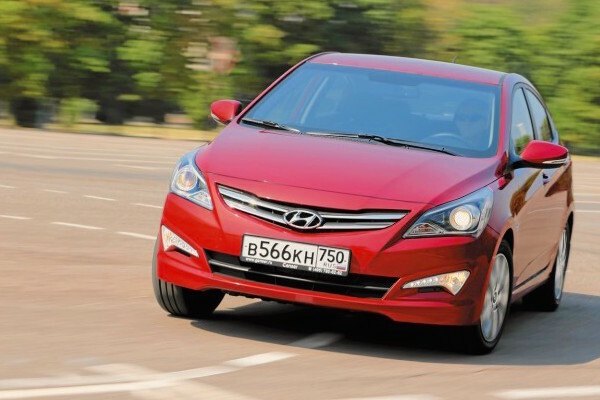 2nd shock in 3 months: the Hyundai Solaris is the best-selling car in Russia in January. 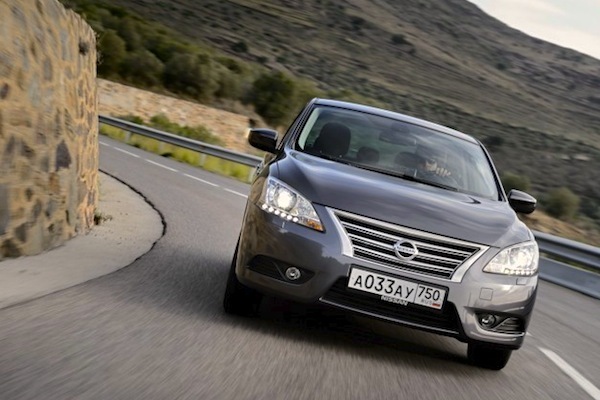 Russian customers ‘rushed’ to purchase 2014 models in December (+2%) to avoid the inflation-induced price increase in January. Result: the Russian market is down a very painful 24% year-on-year this month to just 115,390 registrations. 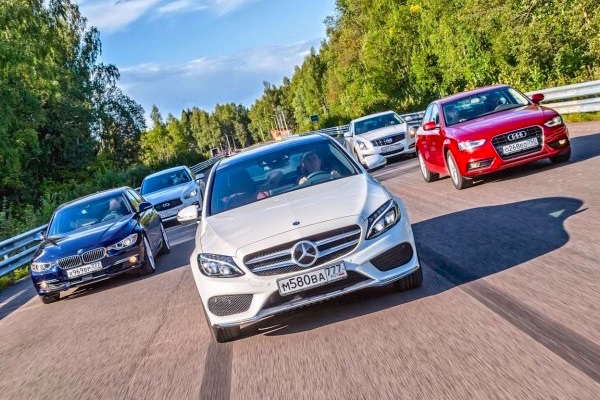 And we have a 2nd shock in 3 months in the models ranking: last November, the Kia Rio made history by topping the sales charts, making it the first time since 1970 that a Lada was not in the monthly pole position at home in Russia. This month it’s the turn of the Hyundai Solaris thanks to sales up 18% in a market down 24% to 8,217 units for a 7.1% market share vs. 4.6% a year ago. The Solaris came very close to achieving this very feat in the past: it was 744 units away from the top spot in December 2011 and 700 sales off last November. The Datsun on-DO has cannibalised the Lada Granta off the #1 spot. That the Lada Granta is beaten once can be a freak event. Twice in three months is looking like a pattern could be shaping, helped by a two coincidental elements. Firstly, the Solaris is enjoying the benefits of its first facelift since the nameplate launched in 2010. Secondly, the Lada Granta has been significantly cannibalised by its low(er)-cost rebadge and Togliatti assembly plant colleague the Datsun on-DO. After cracking the monthly Russian Top 10 for the first time in December, the on-DO is far from plateauing and up to an even more astounding 7th place in January with 2,933 sales and a record 2.5% market share, a 32% improvement on last month. 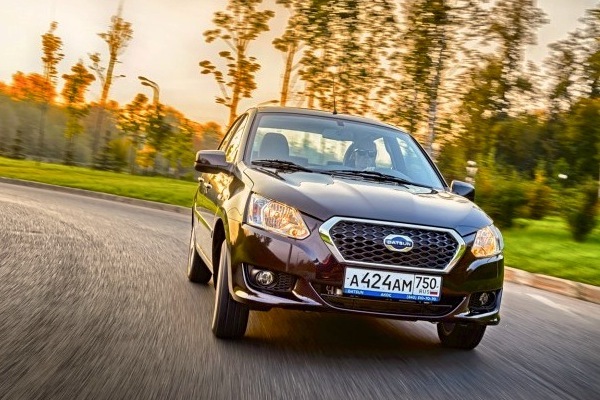 The Renault Logan, albeit in extremely good shape thanks to the new generation at #4 and 2.9%, is now at arm’s length for the on-DO, singling Russia out as the most successful Datsun relaunch in the world so far, and by a country mile. Although these two elements have played a critical role in the arrival of the Hyundai Solaris atop the Russian sales charts this month, there is a longer term trend at play: reversely to Lada whose market share has been continually sinking at home in the past decade, Hyundai and Kia have built a reputation for reliable vehicles specifically adapted to Russian conditions. This from the ground up, banking on success in the countryside rather than the Western part of the country. I could see this clearly during my 2014 Trans-Siberian trip where both the Solaris and the Rio were regularly among the Top 3 best-sellers in absolutely every corner of the country, from Tatarstan to far-East Siberia and Lake Baïkal. … and for the Nissan Sentra. A particularly weak month brings lots of movement in the rest of the models ranking: the Nissan Almera is back up 7 spots on December to return to the #10 ranking it held a year ago in January 2014, the Renault Sandero is down 23% but up 10 ranks on last month to #11, the Toyota Camry up 38% to #12, Hyundai ix35 up 9 spots on December to #13, the Skoda Octavia up 17 to #33, Skoda Rapid up 16 to #34 and Mitsubishi ASX down 3 to #23. 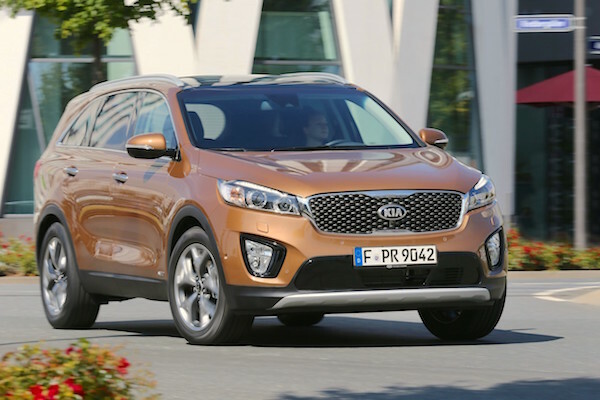 The Kia Sorento up a fantastic 426% on January 2014 thanks to the new model to #21 and the Nissan Sentra up 19 spots on December to #24 both break into the Russian monthly Top 25 for the very first time. Mercedes sales are up 17% year-on-year to #10 overall. Brand-wise, Lada at 15.2% (-26%) is now far from dominant at home with Hyundai up to 11.1% share thanks to sales up 15% and Kia up to 9.8% with deliveries up 1% year-on-year. Renault (-32%), Volkswagen (-28%) and Mitsubishi (-32%) plummet, but Skoda (+8%) and Mercedes (+17%) power through to #8 and #10 respectively. Solely thanks to the on-DO, Datsun is up to #12, selling more than marques like Mazda and Ford, and almost 3 times as much as Opel. Full January 2015 Top 25 models and Top 53 All-brands below.